I’ve never been a big fan of live albums, preferring the purity of the original studio release. To me, that is probably how the band intended the music to be heard in the first place, rather than in a live setting. There are, actually, plenty of studio bands who have never performed live and this has been of no detriment to them progressing and evolving. Of course, there are always exceptions to the rule and there are some outstanding live releases out there. A few that come to mind ( and not restricted to progressive artists) are Thin Lizzy – ‘Live and Dangerous’ from 1978, Neil Young and Crazy Horse – ‘Arc-Weld’ from 1991, Yes – ‘Yessongs’ from 1973, Peter Frampton – ‘Frampton Comes Alive’ from 1976 and Genesis – ‘Three Sides Live’ from 1982. These albums perhaps show the artists at the height of their powers and include some of the most blistering and emotional versions of their greatest songs. However, overall, I’ve always been more of a fan of the studio albums. 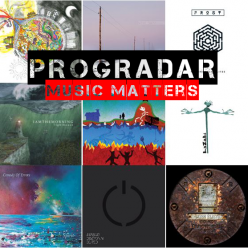 So, when one of my favourite artists, Glass Hammer, approached me about reviewing their new, ‘live’, release, it was with no little trepidation that I awaited the arrival of the package at Progradar Towers……. 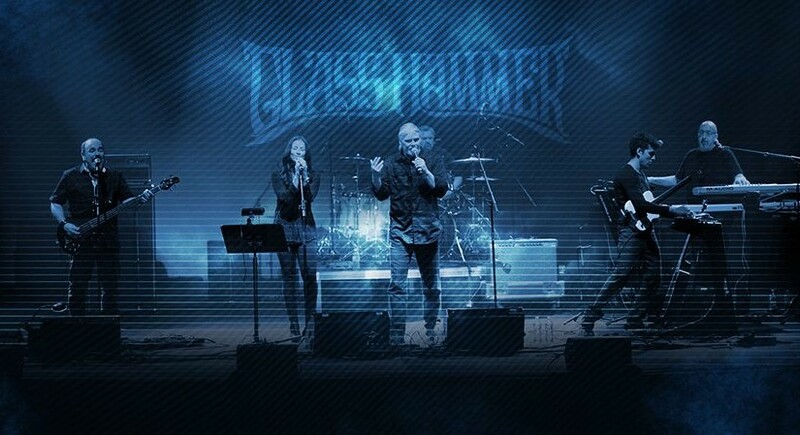 Glass Hammer are elder statesmen of the progressive rock scene now, having been around since 1992 and releasing many celebrated albums, including their latest long player ‘The Breaking of the World’ this last year. 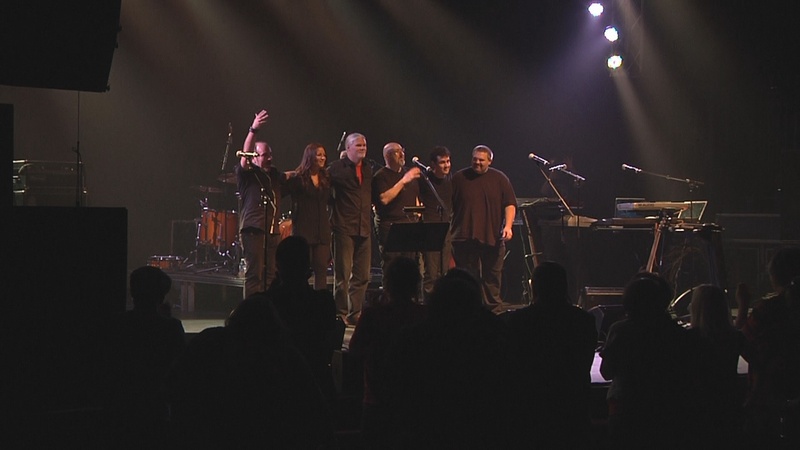 Hailed as one of their best records yet, it cemented them at the forefront of the classic progressive rock scene and many saw their appearance at RosFest as being one of the highlights of that well established progressive rock festival. The band decided to release the whole set from RosFest as a Double CD/Single DVD deluxe package and I was lucky enough to receive this. Would it change my perception of live albums or would I still see it as something less than a studio release? The performance opens with the catchy Nothing, Everything which is the closing track from ‘The Breaking of the World’ and I feel it is a great track to open a live set with as it bounces along with great joie de vivre. Initial thoughts are that these guys are a tight live unit and the recording quality of the release is top notch and you can hear each note from the individual instruments. 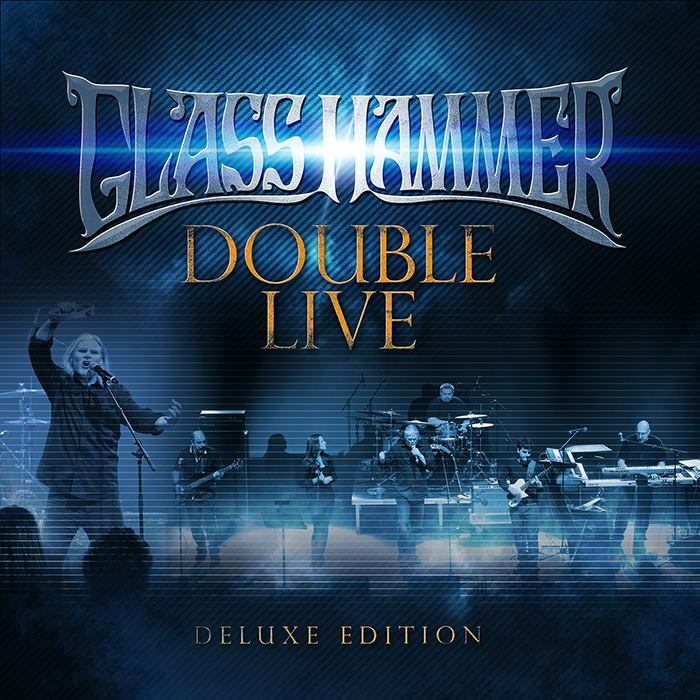 You are drawn in immediately to the signature Glass Hammer sound with its melodic intricacies and subtle deviations. The vocals are also on top form and some apparent issues with the vocals being too low in the mix at the actual show appear to have been addressed in a satisfactory manner. Carl and Susie are front and centre and work perfectly well bouncing off each other. So a grand opening for the show as far as I’m concerned, let’s see if it holds up…..
Now, if I do have one minor gripe about live recordings then it is definitely the links between the tracks and Carl Groves’ somewhat corny efforts here do grate slightly, not enough to detract from any enjoyment but enough to make me cringe a tad. After Carl has got his intro out of the way, the band move smoothly into a track from ‘Shadowlands’, their seventh, 2004 studio release. So Close, So Far is, in my opinion, one of their classic releases and the current line up more than do it justice with the excellent guitar work of Shikoh and the jazzy drumming of Raulston providing the perfect back drop for Schendel’s superior keyboard work. Harking back to a time when the band had more than a little Tolkien influence going on, the lyrics are so wondrous in places they just make me smile. How Susie keeps a straight face singing the words, “Time spent fighting Dragons, is wasted now, I know…..”, I’ll never know but they give me a childlike glee and the whole song has this brilliant winsome feel in a live setting, it literally bounces along full of the energy of some unseen youth. Timeless in execution, it is near perfect and watching the band performing it on the DVD you just get the feeling that they are really enjoying it. Steve Babb’s ever present, dynamic bass drives the song along and he seems like he is almost overflowing with vigor such is his animation on the stage. Almost hidden behind a huge bank of keyboards, Fred Schendel seems to be giving the performance of his life as you watch a band at the height of their performing powers. The first CD and first half of the performance closes out with the first two tracks from the latest album. Mythopoeia sees the band nodding their collective heads to the 70’s greats Yes. Too many people compare them unfavourably to that band but they are definitely equals on the strength of this performance. Groves vocal is heartfelt and literally alive and his counterplay with Susie Bogdanowicz gives the track a dramatic edge. Shikoh is giving a lively performance, his guitar full of vitality and the rhythm section are note perfect as the song flies along seemingly with a sentience and enthusiasm all of its own. Take a moment to watch and listen in the quieter moments where the vocalists pump increasing amounts of emotion into their performance, leaving you rapt in attention. Third Floor is a more tentative track, one that plays more on the vocal performance and uses the instruments to provide the balance and the backing to Carl’s edgy verse and Susie’s sentimental chorus. 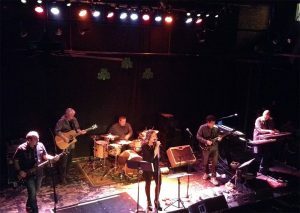 The whole band demand your attention on the stage, they are not merely musicians, they are performers in some engrossing drama that is unfolding before you. Fred’s harpsichord like instrumental section lightens things slightly, aided by some more impressive guitar work from Kamran Alan Shikoh. A free form instrumental section holds court through the centre of the song, technically excellent but still with a soul, the musicians give their all before the voice becomes the focal point once more. I think you can tell I’m really beginning to enjoy this can’t you? My smile breaks out again as a really intricate and yet easily accessible instrumental run takes the song to a profound close, I almost find myself applauding with the crowd. So to CD 2 or the second part of the performance and another dip into the past and The Knight of the North from 2005’s ‘The Inconsolable Secret’. Carl does himself no favours here as the opening part of the track is an introduction of each member of the band but sung rather than spoken. Call it corny, call it cheesy, I just don’t like it. Thankfully it’s over with pretty quick and we can get onto what is quite a dark and serious track that loses some of the light-hearted feel of the previous songs. 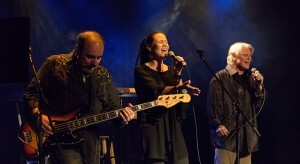 The music has a much more contemplative feel and is almost verging on a heavier progressive note. The performance is, once again, near faultless. You seem to lose yourself in the music as it winds its way around your psyche, leaving indelible marks wherever it touches. The keyboards have a definitive 70’s timbre to them and Schendel bounds around behind them like some mad professor at times. Babb is as energized as ever as his bass drives things along. Aaron Raulston sits behind his drum kit like an immovable force as he anchors the whole shebang in place. 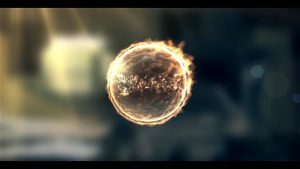 The twin voices of Groves and Bogdanowicz are in storyteller mode as they take you though the complexities in a precise and contemplative manner. Guiding it all, like a conductor, is Shikoh’s meticulous guitar playing, leading the complicated instrumental runs and firing off precise licks when required. Lost in a labyrinth from which you do not require rescue, this intelligent and fastidious song almost leaves you transfixed with the band’s superb musicianship. Too soon the ninety minutes has come to a close and the first strains of the closing track can be heard. Time Marches On is from the band’s second ever studio album ‘Perelandra’, a concept album inspired by C.S.Lewis, released in 1995. Dynamic and vivacious, the introduction builds the song up in a quite unequivocable manner. Precise and deliberate, the guitar dominates the track with a mesmerising sway. Superb musicians are allowed to show their proficiency on this quite memorable song. 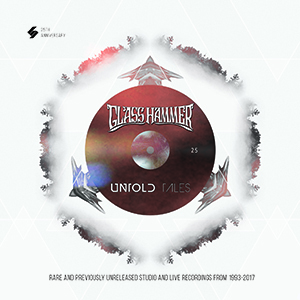 There is an 80’s feel in parts to the track, especially the stylish keyboards and funky bass playing, this is Glass Hammer turning it up to 11 with no studio constraints and the ability to just enjoy themselves to the full. Just look at the band’s faces, you can see they are having a hell of a time and this is evident in the joy and delight that comes across in the performance. You just wouldn’t get this freedom in a studio release, this is the heart and soul of the band and the music given vent and freedom of expression, enjoy it while you can! Putting it simply (don’t laugh) ‘Double Live’ has broken the mould for me. 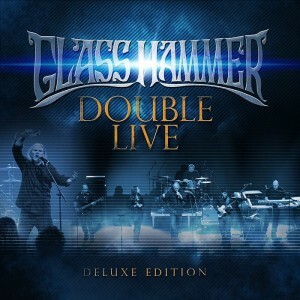 Never a big fan of live albums, this release is a joyous rendition of all that’s good about Glass Hammer. The intricacies, the intrigue and sheer emotion of the band’s music let loose in a live setting and it is damn near flawless. A purchase that I must recommend highly, in my opinion, you won’t regret it!